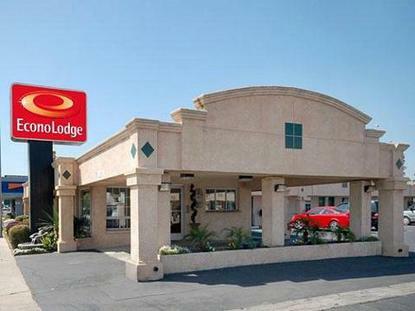 The Econo Lodge is conveniently located in the heart of Fresno, just eight miles from downtown, 10 miles from Highway 99 and close to Woodward Park. This Fresno hotel is close to many area attractions including Millerton Lake, Fresno State University, the Fresno Zoo, the Fresno Convention Center and the Japanese Gardens. The hotel is walking distance from several shops, business parks and a wide variety of restaurants and cocktail lounges. Yosemite National Park, Sequoia National Park and Kings Canyon National Park are about 65 miles from the hotel. Guests of this Fresno hotel are invited to enjoy many full-service amenities including free continental breakfast, free local calls, free coffee, seasonal outdoor pool and sun deck.